Health care systems contribute substantially to health equity and social justice, they are also crucial to total health outcome and to the best health interest of all. However, the health care system in Taiwan has serious imbalances. The concept of the hierarchy of medical care is generally unfamiliar and misunderstood by the public, and even the medical society itself. 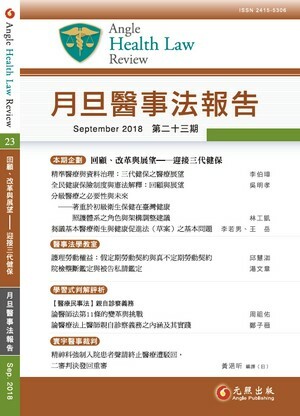 This article tries to explore the objectives of the national health care system from the perspective of national constitution and legal system, define the role of primary health care by addressing the importance and its cost-effectiveness, examine the details of the health care system from all aspects, and review government policies and their implementation. Finally, this article tries to propose adjustments to the overall structure of the health care system.